Can I include my pets in a living trust? Americans have nearly 70 million dogs and more than 74 million cats as pets. For many, pets are like family. In addition to designated therapeutic roles, animals are also valued as loyal companions, which explains why an estimated 68% of U.S. households have a pet., Unfortunately we do know many pets become homeless, or are sent to shelters because there isn’t a written plan that instructs living family members to ensure care for pets. Luckily, California has a statute (Probate Code Section 15212) that allows for the creation of Pet Trusts to ensure that your pets are well taken care of upon your passing. While you cannot leave money or funds directly to a pet, a Pet Trust allows for your assets to be used to care for your pet after you’re gone. A Pet Trust allows you to specify a sum of money to be used for your pet’s continued care and to name a trustee to carry out your wishes. This type of trust can be as specific as you would like, including a list of your pet’s favorite toys and foods. Though perhaps no one will love your pet as much as you, it is crucial to be careful when choosing a caretaker. Appointing the caretaker is as important as appointing your trustee. Pick someone that you know and trust. Don’t assume the person you want to name is willing to assume the responsibility of caring for your pet. It’s better to ask the person beforehand if they are willing to take on the challenge. It’s best to name an alternate as well. It may also be important to name someone who would go to court and enforce the terms of the trust if necessary. This is the person who ensures the trust money is being spent appropriately on the animal. The Pet Trust will include an explicit designation of which pets you want the trust to cover. You can only select pets that were alive at the same time that you were, meaning you cannot set up the trust to care for unborn offspring or future pets. The trust itself will dissolve when the last surviving animal passes away. The details covered in a Pet Trust are not typically a part of a simple will and instead need to be included in a separate special trust specifically designed for your pets. There are quite a few options, and some limitations, when it comes to Pet Trusts. Here at Velasco Law Group, we are happy to work with you to create an individualized trust that expresses your wishes. We can also help you figure out the right amount to set aside for a Pet Trust. This amount is based on a number of factors including care, the age of the animal, and health of the animal. Let the experts at Velasco Law Group help you design the best Pet Trust for your needs. 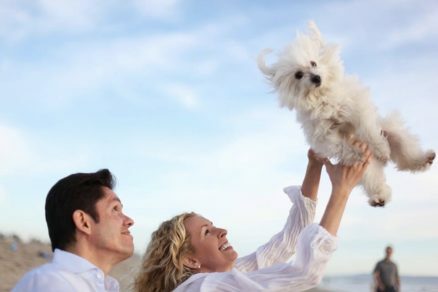 We love to help families establish a Pet Trust as part of our legacy planning services. With three offices in Long Beach, Downey and Irvine, the legal team at Velasco Law Group, is dedicated to helping not only our respective communities but also the Greater Los Angeles and residents of California. If you have more questions, please contact us HERE.